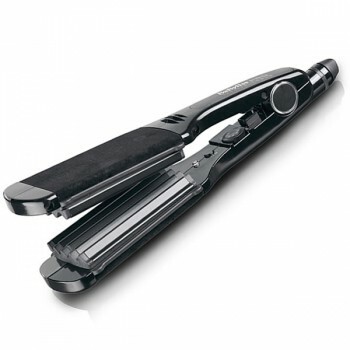 Babyliss Professional Wide Crimpers allow you to create perfect crimps and textured hair with attitude. The wide 2.5" porcelain plates make styling even the longest hair quick and easy. Heating up in seconds and with 25 temperature settings, the Babyliss Wide Crimpers create styles that will last all day. Featuring porcelain plates with the highest quality crimping action and salon length swivel cord, the Babyliss Crimpers are ideal for home use.